There are more factors in play in the process than at first might be readily apparent. Find out what they are and the best course of action. 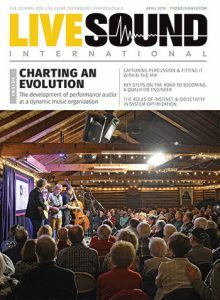 Choosing a live vocal microphone for a singer – particularly one you’ve never worked with before – presents several challenges. Of course there’s the sonic aspect, but several other very important factors come into play as well. For example, the comfort level for someone who may be wary of using an unfamiliar mic shouldn’t be overlooked—a timid, unsure performance usually isn’t a good one. Veteran audio engineer and tech Craig Leerman has been working in live production for more than 35 years and is the owner of Tech Works, a sound/production company based in Reno, NV. 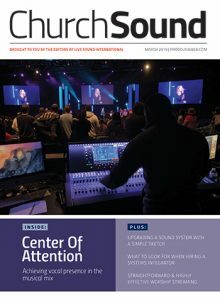 He has contributed hundreds of articles to ProSoundWeb and Live Sound International for nearly a decade. 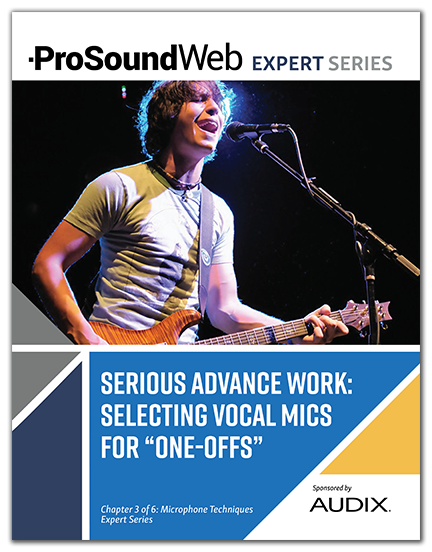 The ProSoundWeb Expert Series on Microphone Techniques is presented by Audix and features top authors from ProSoundWeb and Live Sound International magazine. Subsequent chapters will be presented every two weeks, all available for free download here on PSW.